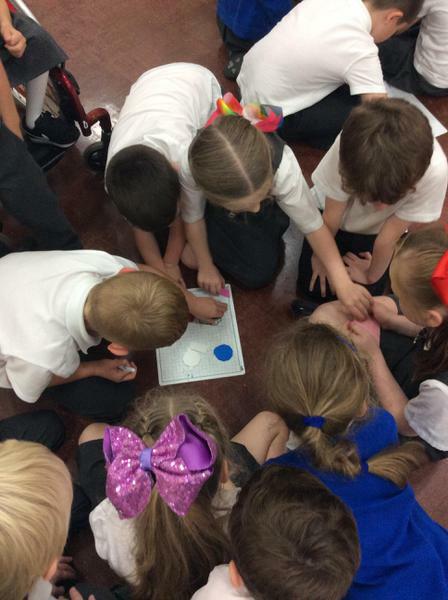 Today in Active Maths we have been exploring Shapes and their Properties. 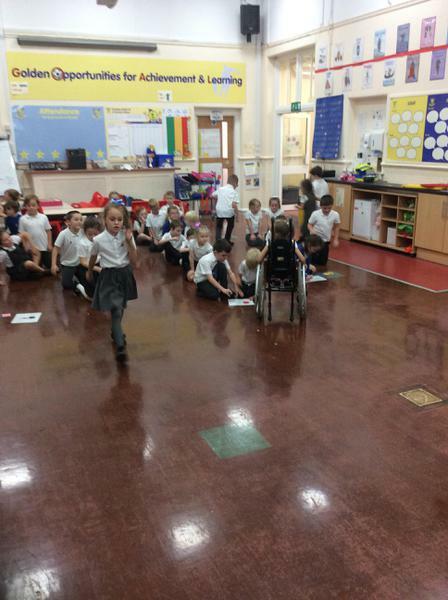 We had to work in teams to collect a variety of 2D shapes by moving in different ways- running, jumping, skipping. 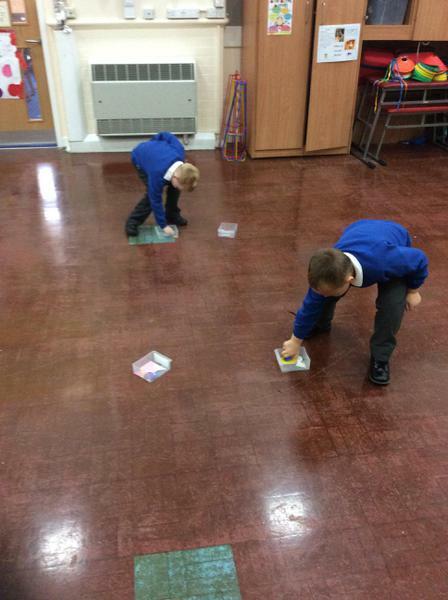 Once we had collected all the shapes in our groups we had to sort them into categories and decide why we had done this. 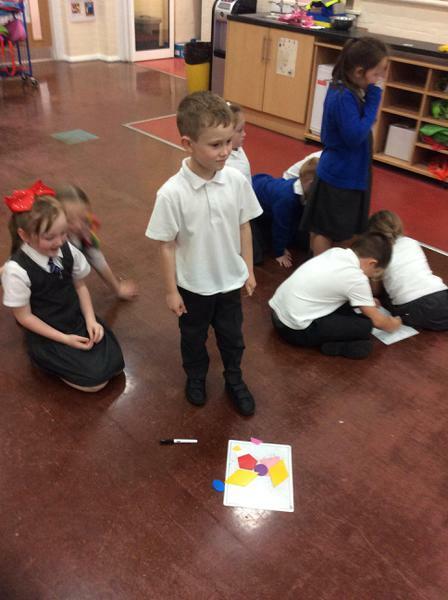 We then named the different properties of the shapes and looked if any had similar properties.